The comfortable and private suites in our secure Valeo memory care neighborhood provide each resident and their family with a caring community focused on safely maximizing resident abilities and well-being. VALEO (va-LAY-oh) Derived from the Latin meaning for “to thrive,” Valeo offers programming adapted specifically to help residents with memory impairments such as dementia and Alzheimer’s disease foster their social, intellectual, spiritual and physical well-being under the medical guidance of on-site physicians. 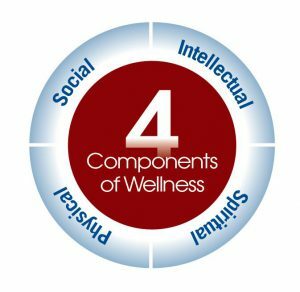 Valeo is integrated into every aspect of wellness and service at our Fredericksburg memory care community. Customized to the individual, Valeo allows memory care residents to thrive and have meaningful interactions through one-on-one activities, build relationships with others and grow connections. Every person’s life experiences and needs are unique, so our senior living programs are adapted to the individual. We assess each resident’s interests and abilities, then build a personalized approach to create moments of joy. Each resident’s legacy and passions are honored through our Valeo Signature Programs, which increase awareness, cognition and engagement; stimulate pleasant long-term memories and provide joy and pleasure. Our senior living community is different than other traditional skilled nursing and memory care homes in Fredericksburg, Texas. Contact us to schedule a tour. To learn about when the next Virtual Dementia Tour will be offered here or to hear more about how residents here are thriving, call 830-856-2450 today.